Bush, the English alternative rock / post-grunge band fronted by the eclectic Gavin Rossdale, were one of the most celebrated post-grunge bands of the 90s, releasing a number of seminal albums in the genre including "The Science Of Things" and "Golden State" (in 2001), before disbanding in 2002 due to declining record sales and a lack of support from Atlantic Records. They were sorely missed by those of us who loved their smoky brand of alternative rock, which typified the 90s rock sound it its core expression, before conventional rock bands by-and-large disappeared from the face of the earth, replaced by either obvious mainstream cash-grabs or trendy outfits infested with fads and dishonesty in their sound. Fortunately, Bush heard us calling, and decided to reunite last year, albeit with only two original members of the band participating. But they are also the ones that matter: the iconic throat of Gavin Rossdale, the primary songwriter for Bush, and percussionist Robin Goodridge remain. 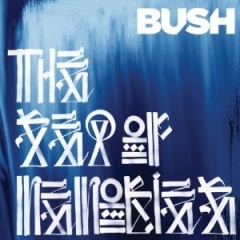 The result is Bush's fifth album, "The Sea Of Memories", and their first one in ten years, although by the sounds of it, Rossdale & co haven't been paying much attention to the evolution of the music industry. 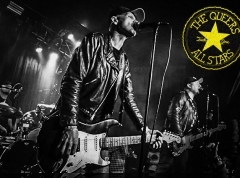 Their nostalgia-driven rock expression is immediately familiar to any old Bush fan, and new listeners will take note of the similarities to other bands from their era, namely Silverchair, Stone Temple Pilots, and Soundgarden to name but a few. And here's the great news: "The Sea Of Memories" is every bit as good as classic Bush. Lead single "The Sound Of Winter" has a hint of melancholia to its smooth rock sound just the way you remember Rossdale's unit during its best moments, and album highlight "She's A Stallion" is as catchy as post-grunge songs come without resorting into utter stupidity a la Puddle Of Mudd. "Stand Up", another brilliant song, outlines the reasons why Rossdale is considered to be one of the best singers in his genre: his ability to go anthemic while keeping his smooth smoky voice goes unmatched by the majority of his colleagues. The great songs don't just stop there either. "All My Life", "Baby Come Home", "The Mirror Of The Signs", and in fact all of the tracks on "The Sea Of Memories" are on par with how we remember Bush from the 90s. They may be simplistic, but they are well-written and convincing, reminding us how rock used to sound like during its golden era of the 90s. Bush were one of the best purveyors of the style back then. Based on "The Sea of Memories", they are that in 2011 as well.